The Waterloo-Bournemouth Line has often been referred to as 'Britain's last steam-worked main line' and at the start of summer 1966 it remained steam-worked Monday-Friday, with the weekends taken over by Crompton Type 3 diesels. From here on however there was a steady decline in steam services and the final end came on Sunday 9 July 1967. 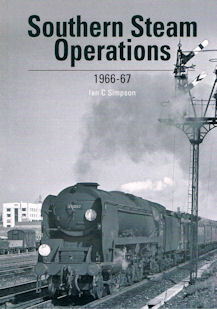 This book charts the beginning of the end of Southern Region steam from summer 1966 to July 1967. 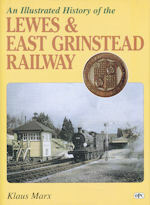 The author provides an overall account of the South Western Division steam locomotives sheds at the time, and then goes on to describe locomotive transfer and withdrawal dates using the original official notices issued by the General Manager's Office, Waterloo -the most reliable source available. 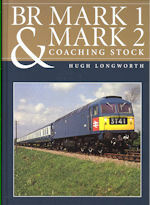 It then goes on to explain SR diagramming practice and with the help from the original notes of many contributors, has assembled a considerable database of train sightings for the period to provide an actual comparison with the locomotive diagrams. 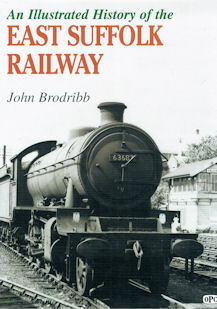 The sightings also reveal, among many things, that steam locomotives were often called upon to provide coverage for the failures of the emerging new motive power. The final chapter is devoted to the last four weeks of steam working and includes extracts from a number of SR documents that explain the plan behind the observed steam workings. A wealth of memorable photographs illustrate the detailed text, and provide an uplifting and lasting memory of the final days of steam on the Southern.